Philippa Adrych gives us an overview of the 7th June colloquium, Talking Religion: discussing religious materiality hosted by TORCH and the Ioannou Centre for Classical and Byzantine Studies, Oxford, that was a celebration of our latest publication, Images of Mithra. ‘What is materiality?’ This is perhaps not the most comforting question with which to be confronted after a book launch and half-day colloquium, both centred on religious materiality. That this was a question posed in the wrap-up and response to the day, and that none of the participants or speakers were particularly dismayed by it, indicates just how complicated a topic it can be. I’m firmly of the belief that the point of a good colloquium or workshop is to raise more problems than it solves; if this really is the case, then Talking Religion: discussing religious materiality on 7th June could certainly be counted a success! The original idea for the day came from the publication in March of Images of Mithra, a co-authored book by five members of the Empires of Faith project, as well as a collaborator from the University of Chicago. TORCH’s invitation to be part of one of their Book at Lunchtime series formed the first part of the day. We were fortunate to pique the curiosity of Professor Richard Gordon, one of the world’s preeminent Mithraists, along with that of Dr Peter Stewart, Director of the Classical Art Research Centre in Oxford, who together formed the panel of respondents to the book. We were also delighted to have Dr Josephine Crawley Quinn chair the session, and to keep our respondents on time and on topic! All present provided us with a lively critique of the book, tempered with some reflections on its methodological contribution to the field of Mithraic and comparative studies, and generous compliments on its appearance. The questions after the panel discussion were more interested in how you write a collaborative volume – and whether the authors involved would be prepared to go through the process again. Fortunately, if you couldn’t make it, a video of the panel discussion is up on the TORCH website, and the comments of Richard and Peter are well worth reviewing. Many thanks to Elleke Boehmer for introducing us, and to Rabyah Khan and Victoria McGuinness for organising the event. Images of Mithra is concerned with putting material culture relating to Mithra (/Mithras/Mihr/Miiro) at the centre of its chapters. 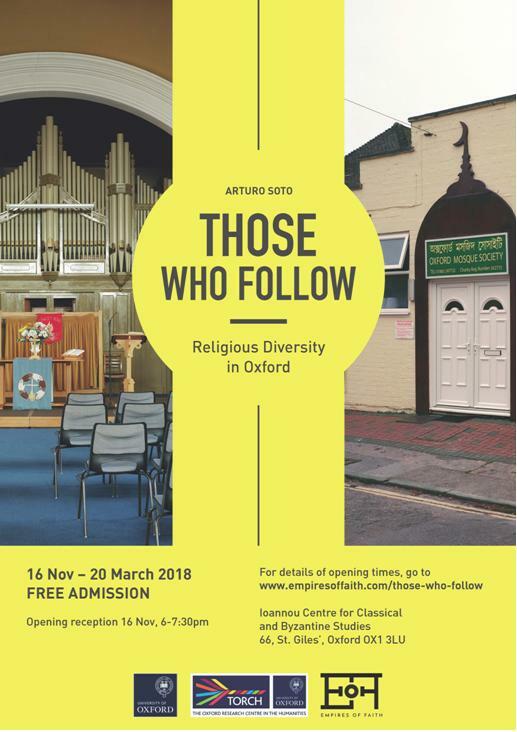 This term also saw several members of the Empires of Faith project, alongside doctoral students from around the University of Oxford, coming together in a series of workshops to talk about aspects of religious materiality, and the problems of trying to write them into academic debate. What better way, then, to end the term than by combining the two? The second part of the day thus featured a colloquium bringing established scholars, the Talking Religion students, and the public into conversation. An important part of what Empires of Faith is trying to do with its research, is to reach a wide-range of audiences and so the event was open to anyone who was interested in coming along – from around the university, and from across the city. As with any academic subject, the problems of material culture can sound rather too specialised for general understanding – even if they’re helped by having images on a screen. We therefore paired up our four presenters, in the hope that this would make it easier to draw out themes and trends between the papers. This gave us one panel on man-made artefacts, with Dr Richard Hobbs from the British Museum speaking to the title Silver for Senuna and other deities in Roman Britain, and Agnieszka Lic from the University of Oxford on Religious views of Zoroastrians, Christians and Muslims materialized in stuccoes of late antique Mesopotamia. Questions after these papers focused on how, in both examples, the religious artistic choices seem to have been influenced by the long-standing artistic traditions of the region – as much in Roman Britain as in early Islamic Mesopotamia. This brought us onto the subject of religious encounter, cross-fertilisation, and the importance of contextualising our objects and images. The second panel focused on nature – and particularly water – in religious practice. Dr Eleanor Ghey from the British Museum spoke about Fluid bodies: the role of water in Roman provincial religion, while Eris Williams-Reed from the University of Durham presented on Ecological approaches to religious life: some cases from the Roman Near East. Again, the questions were aimed at bringing the two papers together; they included thoughts on embodiment – of the divine and of the landscape – on the personification of water deities, on the ways in which water could be considered sacred and at what stages in its cycle, and on the ways in which water can structure the use of sacred sites. Nicholas Purcell draws the proceedings to a close. The conclusion to the day came from Professor Nicholas Purcell, whose wrap-up started with the question: what is materiality? And, indeed, what is religion?! He broke down the various problems presented during the launch and the colloquium: from tésorisation (the changing values of materials over time) to technē (the skill and process of making an object), and from imagination and cognition to ‘iconographisation’ (sic) or ‘imagy-ness’ (sic). Nicholas managed to artfully sort through the various strands of thought discussed throughout the day, and to weave them together into something approaching a coherent set of models, approaches, and ideas. The authors of Images of Mithra – Philippa Adrych, Robert Bracey, Dominic Dalglish, Stefanie Lenk, and Rachel Wood – are grateful to everyone who made the day such a success. Particular thanks are owed to the TORCH Graduate Fund and Magdalen College for funding the day; to Elleke Boehmer, Rabyah Khan and Victoria McGuinness of TORCH, and the Ioannou Centre for Classical and Byzantine Studies for providing us with both the venues and opportunities to speak; to Richard Gordon, Peter Stewart and Jo Quinn for their much-valued responses to the book; to Eleanor Ghey, Richard Hobbs, Agnieszka Lic, and Eris Williams-Reed for their fascinating papers; and to the Talking Religions students for all their enthusiasm and support during the day. Previous Previous post: Talking Religion: What makes an object religious?